Owned it for 20 years. To be clear Mr Weatherbottom.... The did make a Robson with carbon fiber stays, early/mid '90s before the "Pro". The Robson Pro, in my opinion, was nothing like the previous pack. And, I would offer Gregory packs don't make anything like they did then. Lighter, maybe, but not as tough. I've carried the Robson for more than seven years on trips ranging from multi-day mountaineering expeditions to many backpacking trips of up to 12 days. The pack has performed perfectly on every trip. The heavier the load, the better the pack carries. 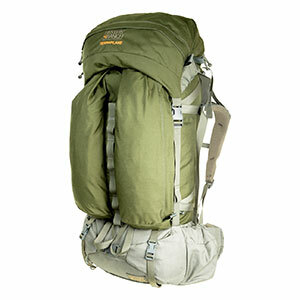 But I often use it in place of a smaller Marmot pack on trips like Kilimanjaro, where I only needed a large day pack. The Robson was simply more comfortable. 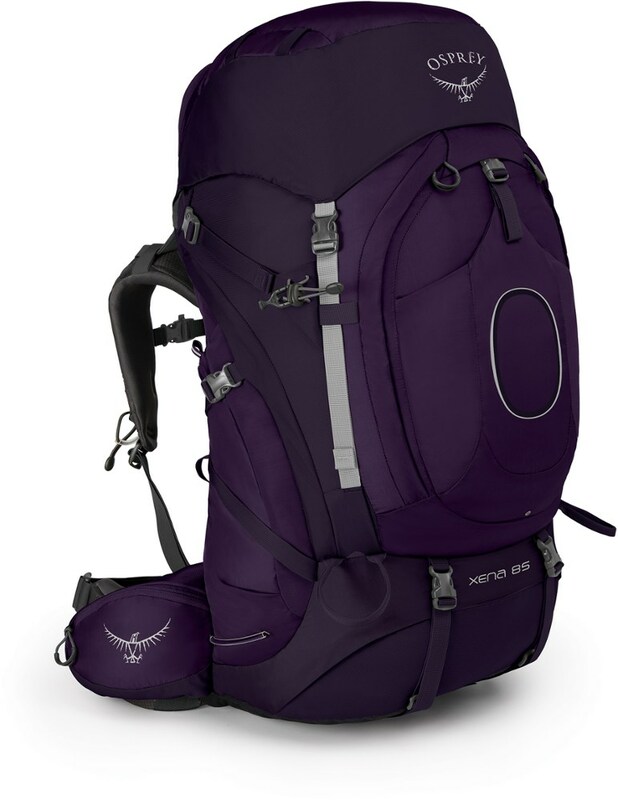 Its trim design does force you to pack wisely if you are going to be carrying a lot of gear or staying in the backcountry for more than a week. But I will carry any load comfortably if you pack it right and it will last you a very long time. I just wanted to try to help with a few comments on the Gregory (pity you didn't enter your e-mail address). First, Gregory doesn't use carbon fiber for their stays. They are high strength aluminum. 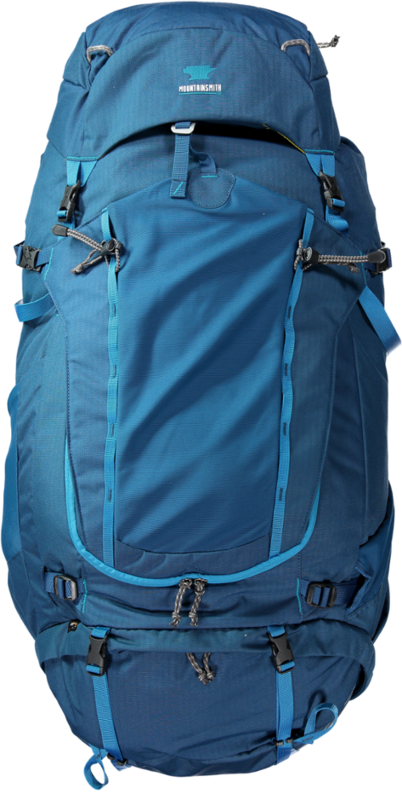 Second, I am very familiar with Gregory packs and my experience is that if the pack is sort of hovering away from your back, you probably have the wrong size. Larger, actually, than you should. For some reason, it is a common problem for women to be sold the wrong size. Have a clerk mesure you with the measuring tape designed by Gregory, which all Greg retailers should have. If done properly, this will reveal your true torso length. If you ask for a measurement with this tape and the clerk says "huh? ", go somewhere else. Also, even with the pack fitted and adjusted perfectly, for the first few trips you WILL notice some slight space between your lower back and the area just above the lumbar pad. After a short break-in period, you'll swear the pack grew on your back. Third, with regards to the "tipping over backward" feeling, don't forget--all of your heavy stuff (cooking gear, guide books etc) should go in on top of the sleeping bag compartment and close to your back, once you've loaded in your bag. This will yield EXTREME control over the bag, especially with the load lifters properly adjusted. Lastly, hopefully all of the above described information HAS been done for you. Because even with proper fitting, it might not be the bag for you. Because as we all know, every bod is different, and finding the right thing can be a chore. I do hope that this was of some help to you. I have been very happy with the features of the Robson, but displeased with the fit. The carbon fiber stays may be the problem, since they cannot be bent and adjusted. I have a normal, athletic, build, fitting most packs in my size, but the Robson tends to leave excessive space between the pack and my back, no matter how it is adjusted. As well, the weight pulls backward to amazing degree, not fitting in close to my center of mass, no matter how it is adjusted or by whom. It is possible that I just may have gotten a defective pack, but I would wear one around the store for quite some time fully loaded before making a purchase, nonetheless. I came up to Gates of the Aritic National Park for a summer of hiking as a volunteer. 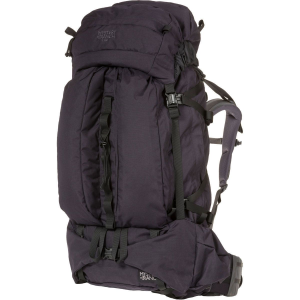 Due to the extreme condition I needed/wanted a new pack, so the Robson was the pack for me. It fits me like a glove. No pain anywhere shoulders, back, or hips. It has handled well through all terrain. I would not get another pack for any reason. This is tops in my book. After having several inexpensive packs that wore after several multi-day trips, the Robson was a find for $250 (a 45% sale). On a trip to Costa Rica, it functioned well in the rain and tossing and carrying from bus to back, back to bus. On extended hiking trips the suspension system makes a heavy load quite manageable and maneuverability is surprisingly good. The detachable fanny has doubled as a daypack well and can be coupled to another shoulder harness if stuffed too heavy for the waist (it has a respectable capacity even when hydrocell is full). The hydrocell is great, but the line (not the bladder) can freeze up as the temperature drops, so be sure to run it through the pack or inside a jacket. Would not go back or out without it. I have been using the Robson for 2.5 years, and love it. This is a pack that loves a big load. The more I load it up, the better it carries. 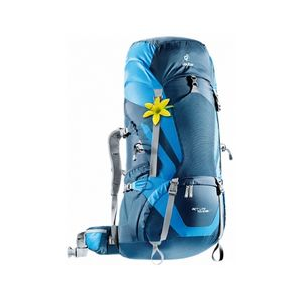 The padding in the hip and back is FIRM (This is one of the older models), and is not entirely comfortable with a light load, but is GREAT for a heavy load. I may never need another pack, but if I do I will go for another Gregory. The Robson has performed great for me in a great variety of trips. The many compression straps cinch it down for shorter trips, while I have pushed the capacity to the max on week-long solo trips. Extremely comfortable, as the design distributes the load comfortably to the waist. Pretty easy access with the three different access zippers. The detachable fanny pack at the top turned out to be more useful than what I thought; it doubles nicely as a food pouch, especially when you can just unclip it and hoist it up a tree in seconds. Love it, wouldn't do it different. Max. Load Carried: 65 lbs. After carrying a 15-year-old JanSport ANY new pack would feel good to me. But, since I have this habit of keeping packs way toooo long, I thought I better do my homework. Gregory won out. The combination of the load transfer system (to the lumbar) with the flow-form back frame. Made it carry wonderfully. I had the chance to carry it for the first time on a trip to Southern Utah to test tents with Backpacker Magazine. So, I got to carry two tents and five gallons of water in addition to my own gear. It worked GREAT. No bruising, no chaffing or cutting. 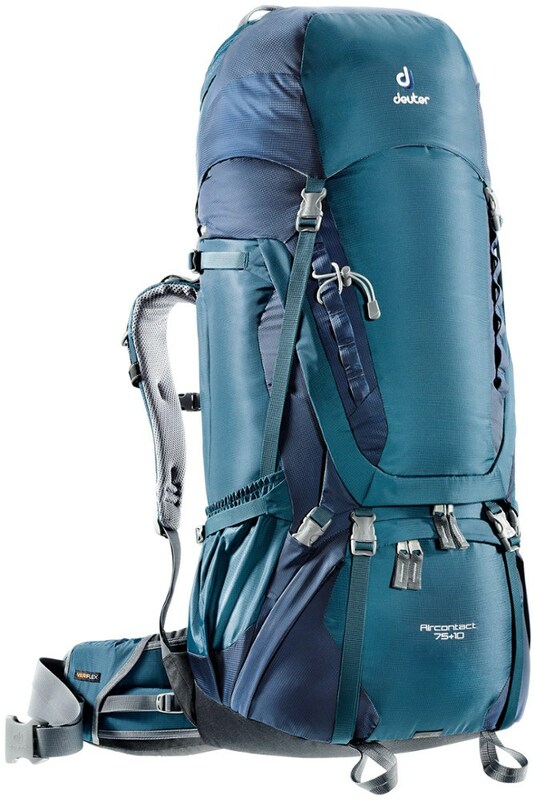 Besides that the guy from Backpacker was carrying the now extinct Gregory Ranier (7200 cu. in.!!) So we could compare notes on the packs. Last of all, I am still not completly converted to the hydro-cell idea, but it is nice to have is, since it comes with the pack. The Robson has been discontinued. The Gregory Robson is not available from the stores we monitor. It was last seen sometime before 2006 at US Outdoor Store.